SS May 14, 2016, Offers start anytime after. You can buy a condo anywhere, but owners at Tuxedo Park as live in a unique environment. Solid Concrete construction, wide well lit hallways. Grade level indoor heated parking and handicap access make this a community that is easy to live in. 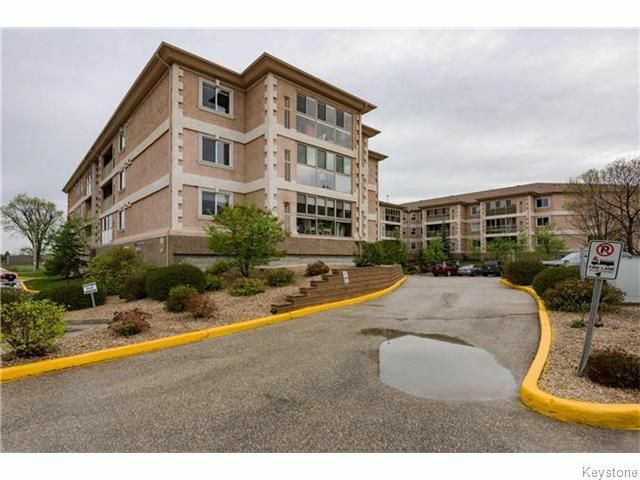 This two bedroom and two bath unit is 1300 sq ft of nicely arranged space. Full size dining room and living room with corner gas fireplace. Kitchen with adjacent breakfast nook. You'll love the layout which has a bedroom and bathroom on each side of the living area. The master bedroom has a walk in closet and full 4 piece ensuite bath. Large in-suite storage room and in-suite laundry. Entertain your friends in the top floor luxurious event room. Fully furnished top floor event room. Additional storage locker and one indoor parking stall included. Set in Tuxedo close to Assiniboine Park, Costco, IKEA, Safeway and nearby shops.